The state of Illinois sits almost entirely in the Interior Plains and encompasses vast acres of prairie land and farmland. The Midwestern state is bordered to the west by the mighty Mississippi River and Lake Michigan lies to the northeast on the edge of the bustling city of Chicago. Despite its flat expanse, Illinois is a haven for outdoor adventurers and plays host to many recreational activities at all seasons of the year. The climate of Illinois varies greatly throughout the year, making it perfect for winter sports such as ice skating and cross-country skiing as well as warm weather activities like kayaking and sailing on Lake Michigan. The Billy Graham Center and Museum– Located at Wheaton College in Wheaton, Illinois, the Billy Graham Center serves as a training center for evangelism and missions. Its accompanying museum has exhibits celebrating the history of evangelism in America as well as the life and ministry of Billy Graham. The Cross at the Crossroads– At 198 feet tall and 113 feet wide, this steel cross in Effington, Illinois is the largest in America and possibly the largest in the world. The American Passion Play, Inc.– This historically and biblically accurate theatrical depiction of the life and ministry of Jesus Christ has been running in Bloomington, Illinois for 95 years. 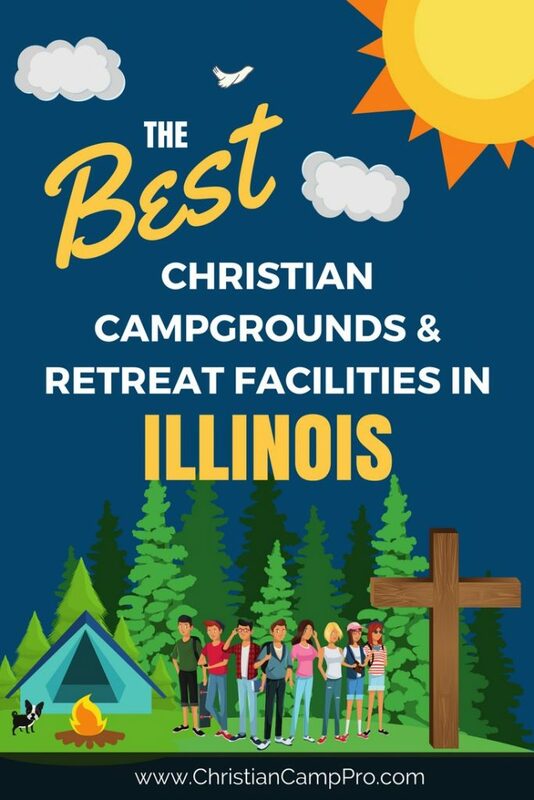 Illinois’ wide expanse of countryside, coupled with its busy and diverse cityscapes make it an excellent choice for youth camps and adult retreats. The vast plains and historic waterways are perfect for outdoor adventures. The cities are offer much in the way of cultural and historical interest and can be a great jumping-off point for any church ministry group.